PELLE is an independent design studio founded by Jean and Oliver Pelle. 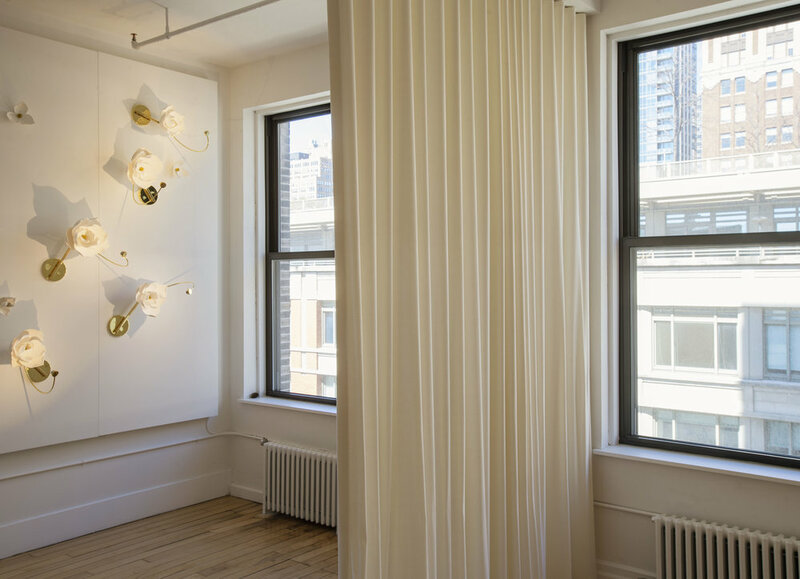 Best known for their iconic Bubble Chandelier, PELLE creates unique—and often one-of-a-kind—lighting and furniture. Jean and Oliver bring art and engineering together in their work, creating expressive objects made with meticulous care and precision. 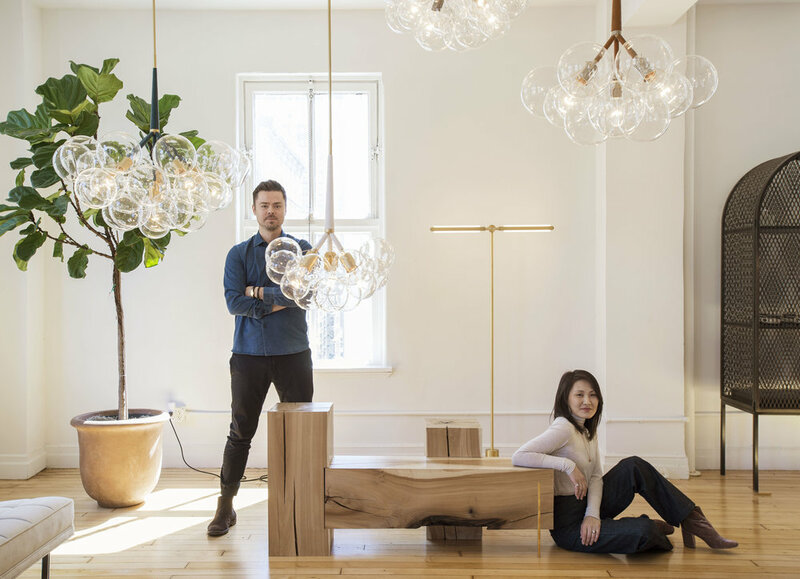 They design and manufacture every element of their products by hand in their Manhattan studio, often working with rare materials and always rigorously thinking through every element of designs. Their commitment to detail and ingenuity in mechanical engineering allows them to create products that balance fastidious fabrication with a freedom of form. Radnor is proud to carry a selection of PELLE’s highly original, hand produced, and professionally refined pieces.